We are so proud to announce CuRe: Creating a fully circular polyester chain. CuRe: A new investment in low energy polyester recycling has been launched by Cumapol, DSM-Niaga, and Morssinkhof. 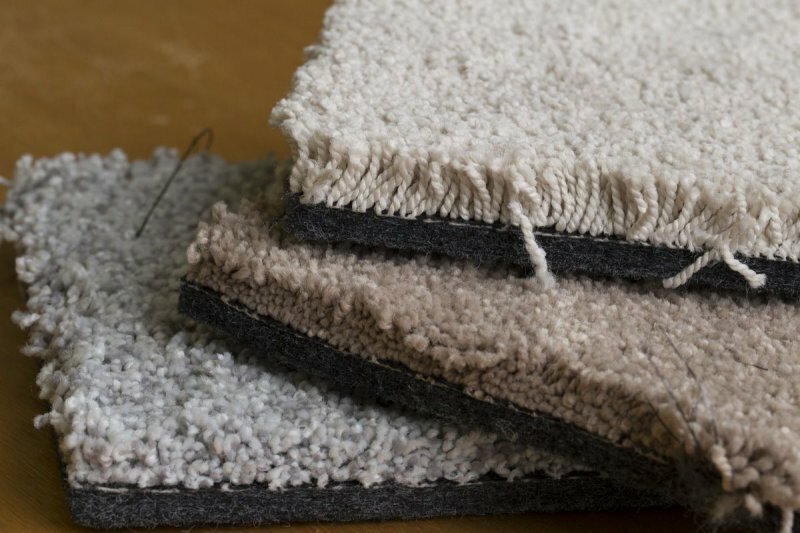 Our goal is to recycle used polyester waste streams in polyester suitable for high demanding applications like carpets, textile and food packaging. Realising low energy recycling for different polyester product waste streams is a major step towards a fully circular polyester chain. The partnership kicks-off with a pilot plant, to prove the technical and financial sustainability of a new technology for thermoplastic polyester recycling. Existing polyester recycling techniques require a relatively clean waste stream of clear or light blue polyester bottles. For that reason colored polyesters or mixed polyesters (i.e. trays, ODR, carpet and textile) often lack the economic feasibility for recycling, and still end up at landfill or incineration. 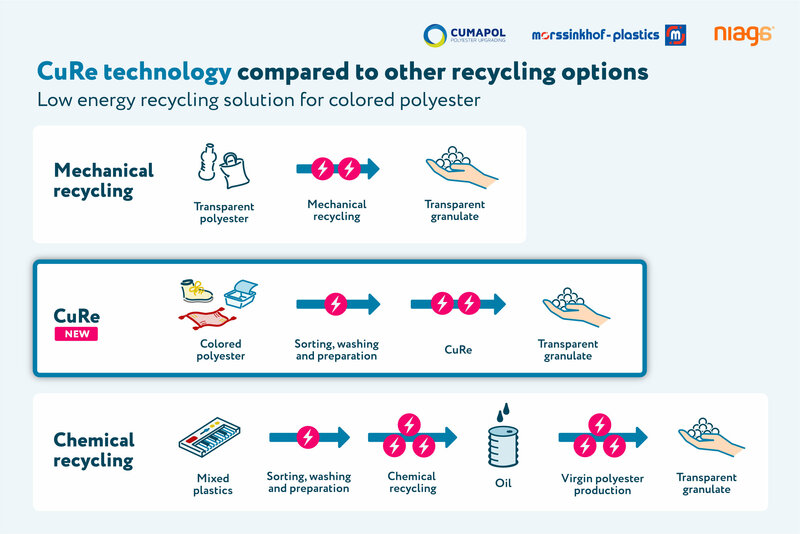 CuRe is a pilot plant that enables a continuous polyester recycling process for various contaminated polyester waste streams - including packaging materials and textile products - and cleans the original plastic material from contaminants and color. Marco Brons, Technical director: 'Using this new CuRe Technology, we can use different sources of polyester waste streams. 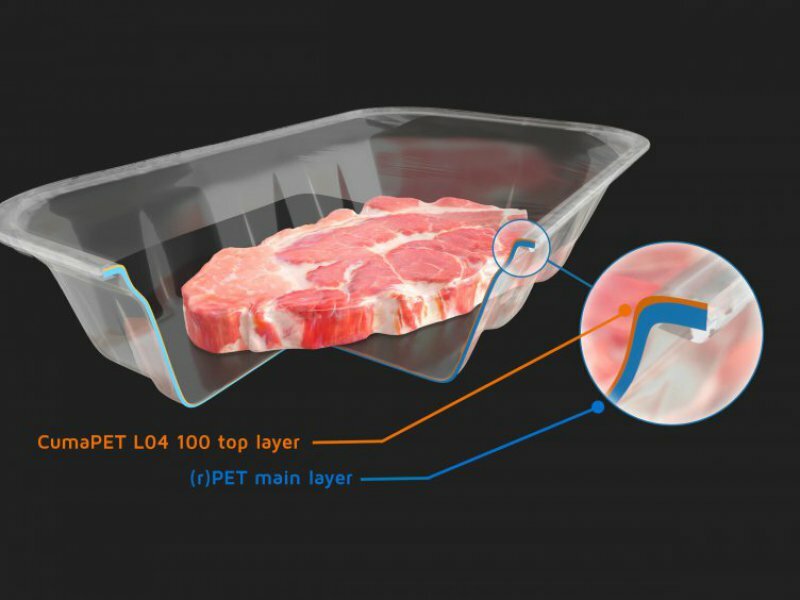 Food safety regulations mean we have to use 95 percent PET from food packaging for mechanical recycling. However, with our CuRe Technology we can use every kind of polyester starting material including colored polyester. And there is another option: during this CuRe recycling process, bio based monomers could be incorporated into the polymer chain to make it even more sustainable’ . The CuRe recycling process is developed by Cumapols own R&D department, with assistance of DuFor and two Universities of Applied Science (NHL Stenden and Windesheim). Other partners working together with CuRe: two Universities of Applied Science (NHL Stenden and Windesheim) and DuFor Polyester Specialties. Funding partners of the CuRe project are SNN, Province of Drenthe and the EU (EFRO). We invite other companies on our journey. Let’s investigate together if your product is recyclable via CuRe Technology.